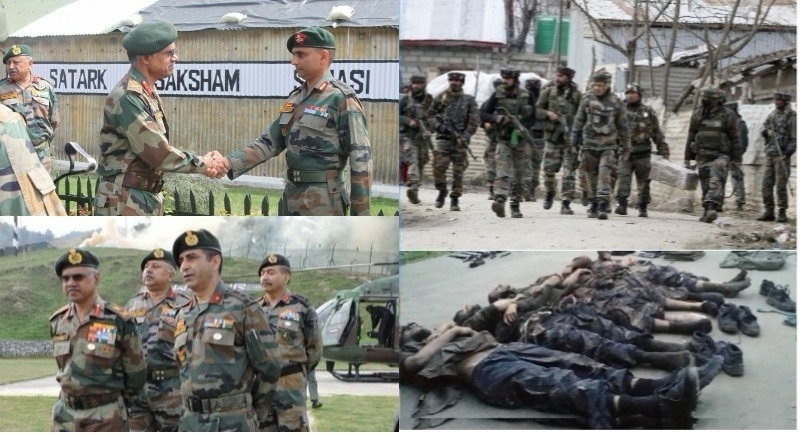 Srinagar, April 6: Days after security forces eliminated thirteen terrorists in three different parts of Jammu and Kashmir, Northern Army Commander Lt General D Anbu reviewed the security situation in the valley and exhorted all ranks to maintain a safe, secure and peaceful environment for the civilians. Notably, Indian Army’s Northern Army Commander Lt General D Anbu on Thursday reviewed the security situation and operational preparedness in South Kashmir in the wake of recent operations in which 13 terrorists were killed. While reviewing the security situation in Jammu and Kashmir, Lt General D Anbu lauded the efforts and level of co-operation between all security forces and exhorted ranks to maintain a safe, secure and peaceful environment for the people of the Valley. An army official said that the Northern Army Commander D Anbu was accompanied by the Chinar Corps Commander Lt Gen A K Bhatt visited the hinterland formations in south Kashmir and was briefed by the commanders on the ground about the operational preparedness. The official further added that the Army Commander complimented the troops for their recent success and commended them for their dedication to duty and high standards of professionalism. He, in the end, said Lt Gen Anbu lauded the measures and Standard Operating Procedures (SOPs) instituted by the units and formations to meet the challenges posed by the inimical elements. Importantly, security forces including Indian Army, JK Police SOG and CRPF personnel led a joint operation and eliminated 13 terrorists in three encounters at Anantnag and Shopian districts of South Kashmir on Sunday last week. Among those killed also included four top terror commanders.